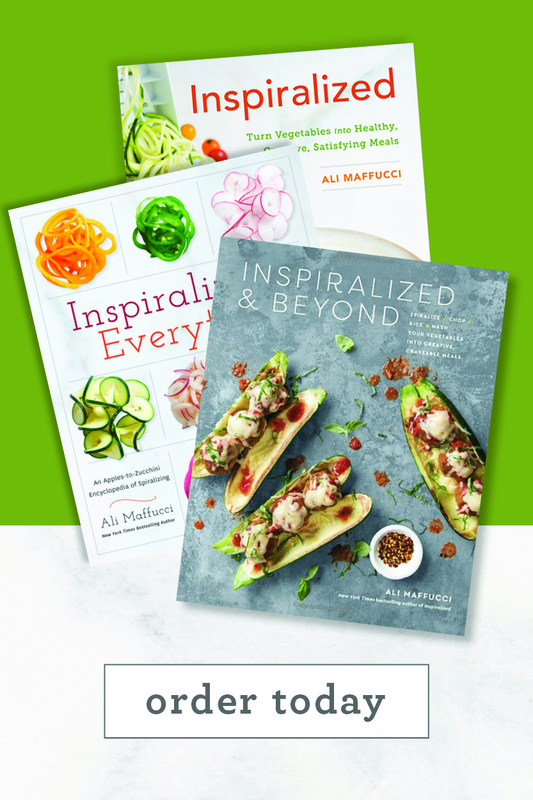 One of the best parts about eating Inspiralized is that you get to eat the rainbow. 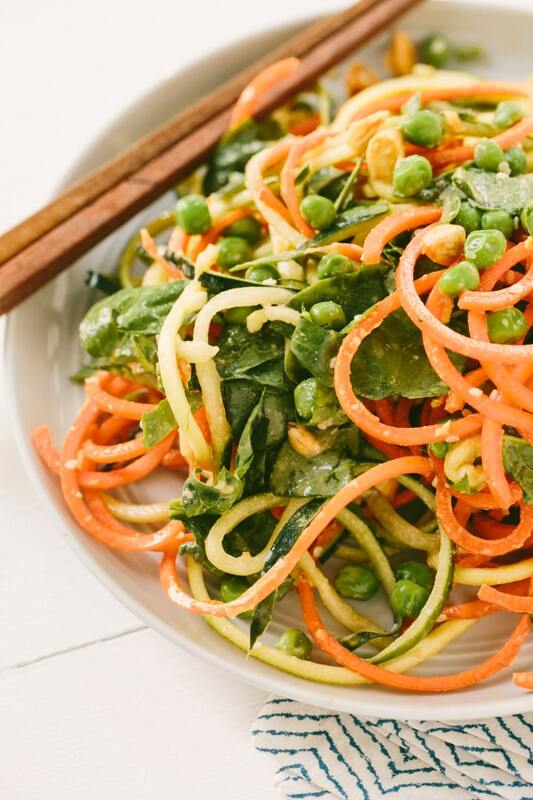 Today, we’re using shades of green and orange to make a beautiful cold sesame noodle salad. It’s all about the dressing, though. 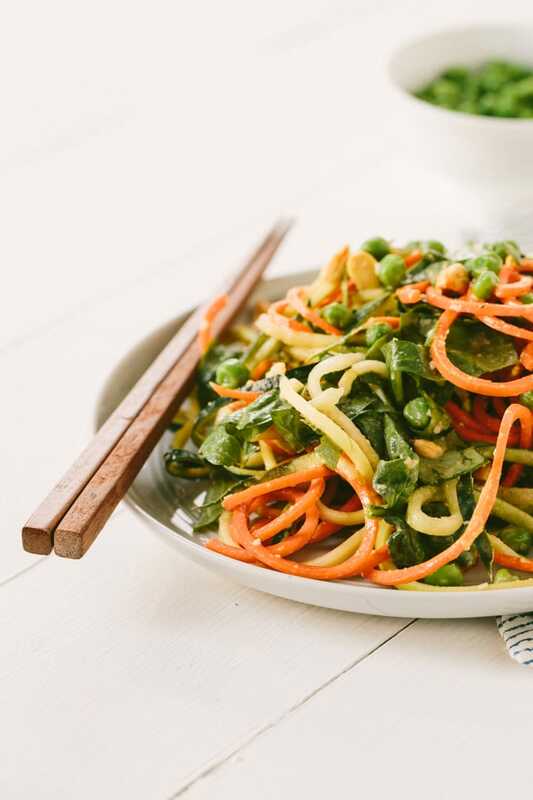 This dressing, somewhat similar to this Thai Quinoa and Zucchini Noodle Salad, absolutely makes this dish. The recipe calls for either tahini or almond butter and depending on what you use, you’ll either get a slightly different flavor, but I’ve tried both, and I couldn’t decide – so I’m leaving it up to you. Kind of like the end to an R.L. Stein mystery book. 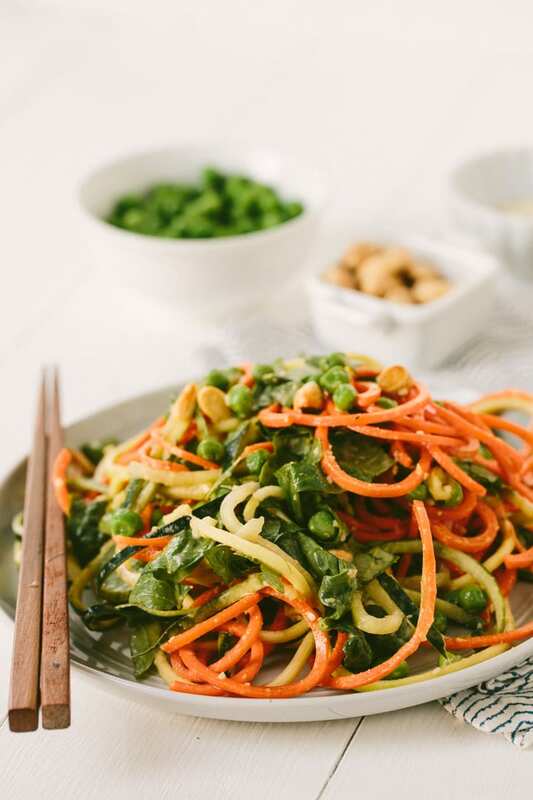 If you don’t like edamame (or you can’t eat soy), then opt for the peas or substitute in another type of bean – or toss in some shredded chicken. Seriously though, stocking your pantry is the best thing you can do for your health. Having a well-stocked pantry can save you from those “let’s just order pizza” moments. 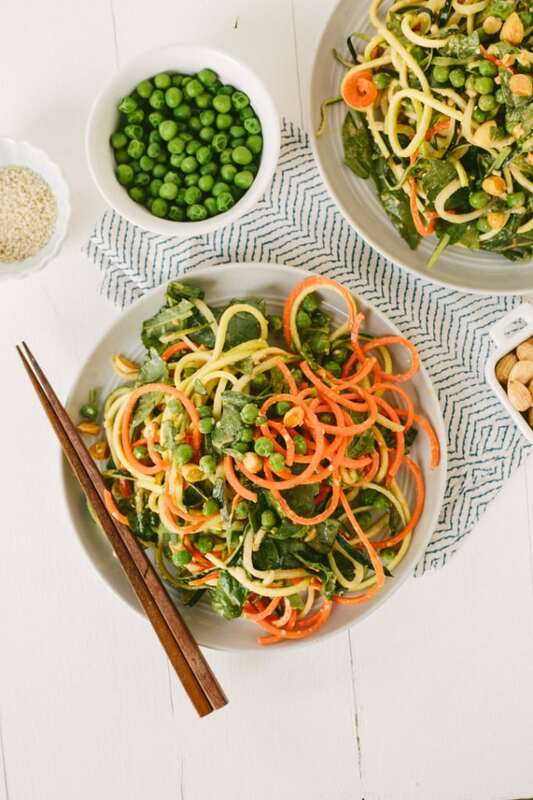 I cook a lot from my pantry, especially when I’m low on produce – I’ll toss together zucchini noodles with some sesame oil, chicken and cashews et voila – a quick meal that came mostly from opening a cabinet. Pat dry the cucumber noodles to rid of excess moisture. 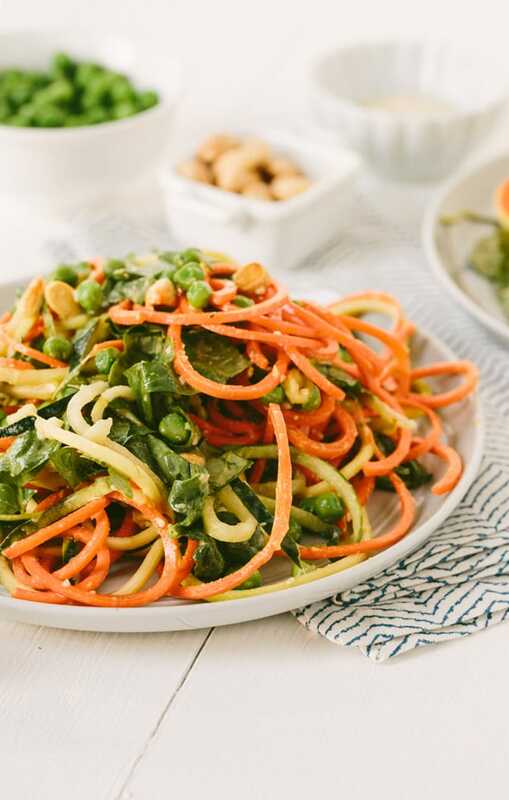 Place into a large mixing bowl along with the carrot and zucchini noodles. Add in the edamame, spinach and almonds. Whisk together all of the ingredients for the dressing until creamy. Taste and adjust if necessary. Pour the dressing over the noodle salad and toss to combine thoroughly. Serve immediately or chill for future use, 1-2 days in the refrigerator for optimal freshness. Hi Ali, First of all, congratulations on your marriage! (I'm getting married in 2 weeks, so we're in the same boat!) Question: This recipe calls for "Blade D". 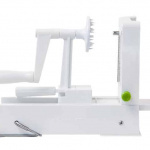 If my spiralizer only has 3 blades (A,B,C - I have an earlier model, I guess), which one should I use. Thanks! Oh this sounds delicious! 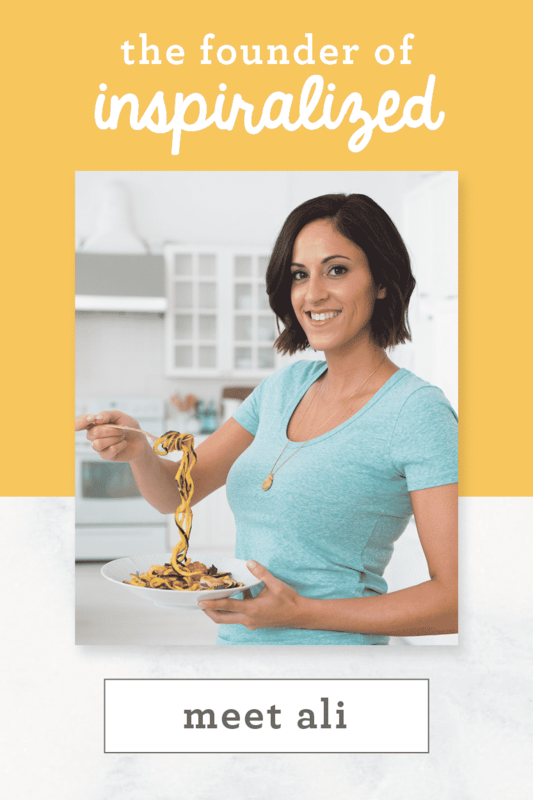 I've never had spiralized noodles cold before!! Made this tonight and it was a big hit. Didn't have a seedless cuc, but it wasn't a problem, I just easily wiped off the few seeds. I doubled the dressing, because it seemed a little 'dry' at first, but I don't think I needed to do that because after sitting for a while, the veggies gave off a lot of liquid and it now seems very liquid-y. Will probably be OK for tomorrow's lunch and then I'll toss any leftovers. Would be good with added Chicken - shredded. The almonds were critical to this recipe, for the crunch. Dont omit! This dressing is delicious, made it exactly as the recipe instructs - I made a few changes to the salad: -Swapped out the carrot for an orange pepper (blade A, trimmed the strands of pepper), -Used a regular cuke, -Forgot the almonds, -Used thawed frozen peas instead of edamame, and -Added a lg can of tuna for the protein Thanks for a recipe that will be made often! Added some almonds into the leftover salad - they're a nice, touch! I made this tonight and it is incredible. I didn't change a thing and will make it over and over again. Draining the cukes of moisture ahead of time is key. It's a very special dish that tastes more complex than the ingredients and steps suggest. Thank you! Made this today and it was a very good. 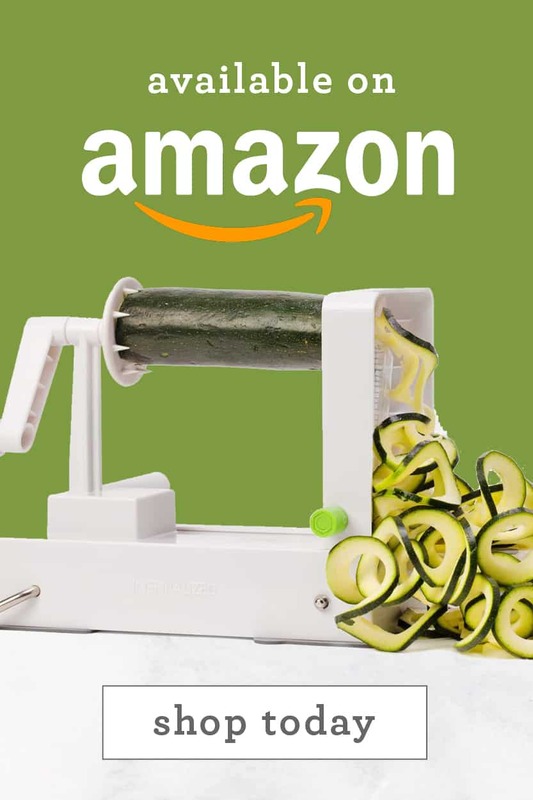 I loved that there was a the variety of spiralized items in it. No almond butter so I used peanut butter. I made this for lunch and packed the dressing separate from the veggies and mixed the two together as needed. WOW! Do the flavors and textures of this salad really POP! I'm totally addicted to the dressing! It is the perfect combination of sweet/sour/hot/ginger...I give another one of your cold salads a thumbs up! I used sesame seeds instead of almonds. Really good! Made this wonderful salad yesterday - had it for lunch then and today. Next time I'll hold off and mix in the peas and spinach fresh at each meal - With the vinegar dressing, the peas darkened and the spinach wilts. The carrots and zucchini hold up well though. Delicious recipe though!! This is one of our favorites! I have been known to have it for breakfast! I love it because hubby will slurp it up just as fast as I do, and he is NOT a big veggie fan at all, and he loves this salad. Made this last night ahead for dinner today....had to try a taste though and I'm hooked! I hope it doesn't get too soggy for tonight's dinner though. I patted the cucumber as much as possible, but it still seemed watery. This will become a staple at my house though, so darn good! I'll be adding some garlic and sea salt mahi mahi for extra protein. Should go together wonderfully. 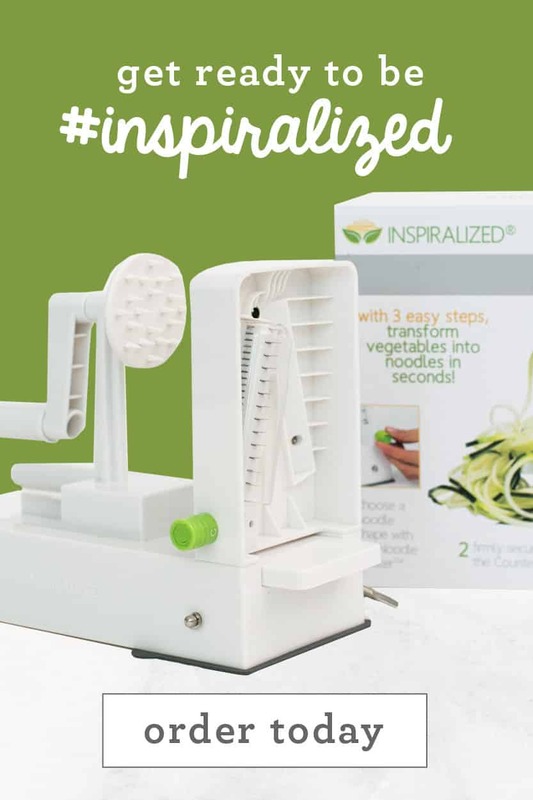 And, by the way, I originally bought a different spiralizer, used it once and immediately bought yours. What a difference. It's totally worth the few extra dollars. 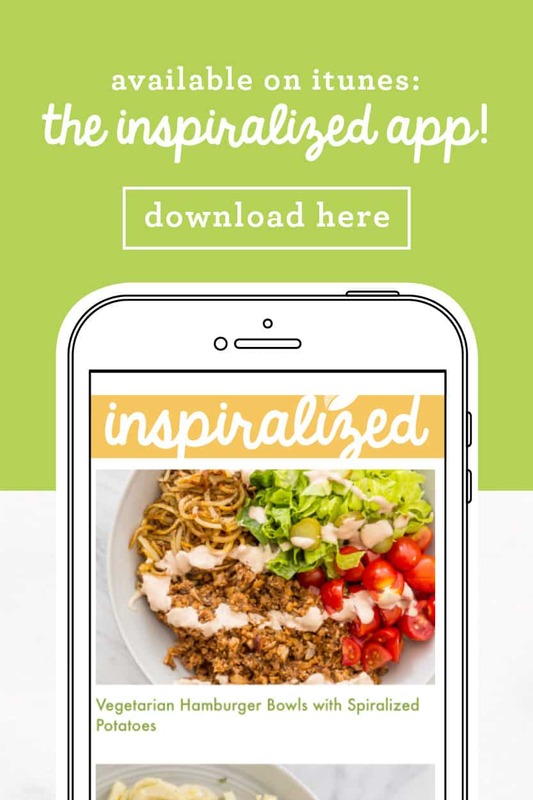 Your inspiralizer is wonderful. 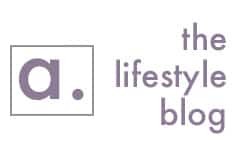 You're helping me and my love lose weight and feel great. Thanks Ali! It's a win-win! Thanks for the kind comment. Tastes so noodle-y it's hard to believe it's all veggies! 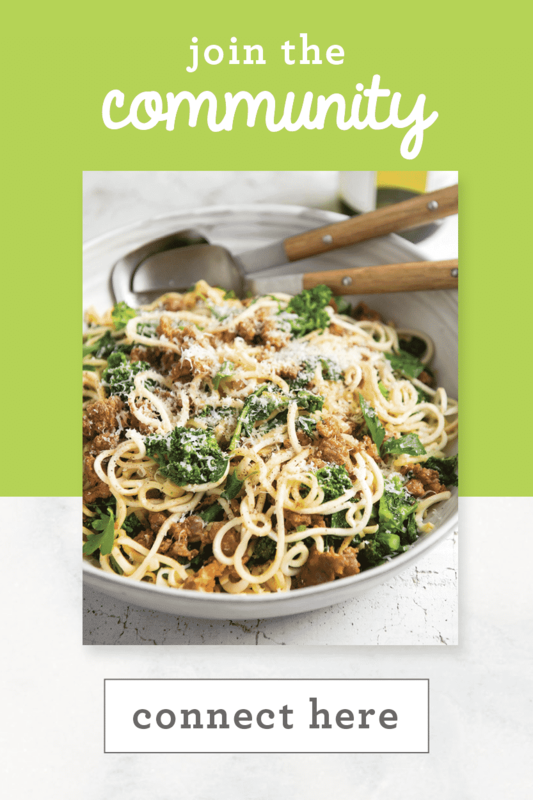 This is the first recipe that I have tried and it is absolutely fabulous! I made it this morning and it was all eaten by noon! I made a dash to the store and just whipped another batch to enjoy tomorrow. I made the dressing to go over lightly sauted, ribboned vegetables (carrots, squash, peppers) and it was fantastic! I made the tahini myself, but didn't have sesame oil (I just left it out) and added maybe 1/2 TBSP more ginger (accidentally). We ate it alongside sliced avocado, thai basil and cilantro, and turkey burgers (spiced with green thai curry and shredded vegetables). Great meal! The tahini adds so much creaminess and body to the dressing, it hugs vegetables well. The ginger is bright, biting, and refreshing. Perfect for summer. I'll be making the dressing again. Thank you! Sounds great! We're happy you'll be making the dressing again!